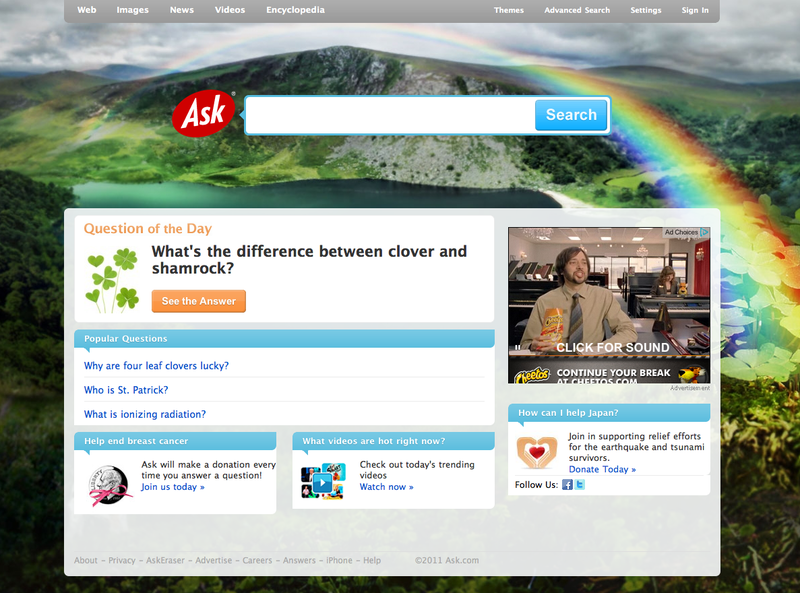 Home > Logos > Where Are Google & Yahoo's St. Patrick's Day Logos? 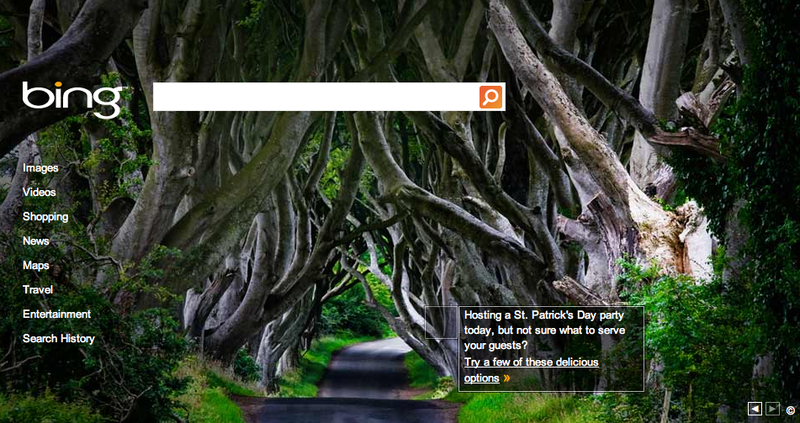 Where Are Google & Yahoo's St. Patrick's Day Logos? Today is St. Patrick's Day and for the first time that I can remember, Google and Yahoo are missing special logos on their main US sites. Google and Yahoo have always had special logos for the day, so why is today different? Maybe out of respect for the events in Japan? I am not sure. But just see our archives of logos for St. Patrick's Day, including the 2010, 2009, 2008, 2007, 2006, 2005 and 2004 archives. But Yahoo UK & Ireland does not have a special logo. I hope their logo designer is feeling well. Update: I am wrong, I just don't see the logo because I am in the U.S. but they do have a logo. Thanks @beyondcontent for the hat tip. Why do you think Google and Yahoo are missing logos? Forum discussion at Google Web Search Help and Google Blogoscoped Forums and Search Engine Roundtable Forums.